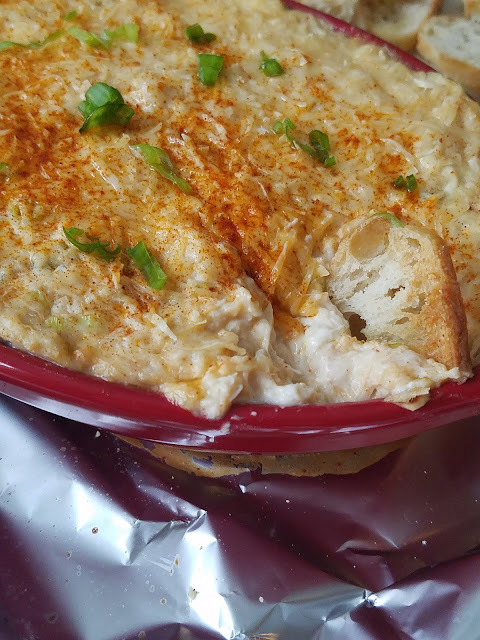 Evening time, dining outside with good friends, eating a big dish of this Hot Crab Dip with crostini and celery for dipping, plus a chilled glass of white wine to wash it all down. Yes, seriously. 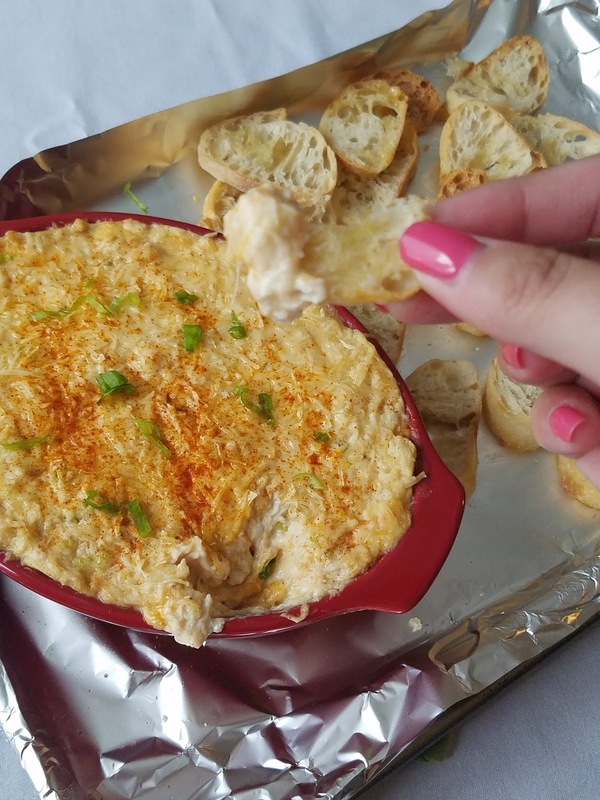 This dip is the real deal. 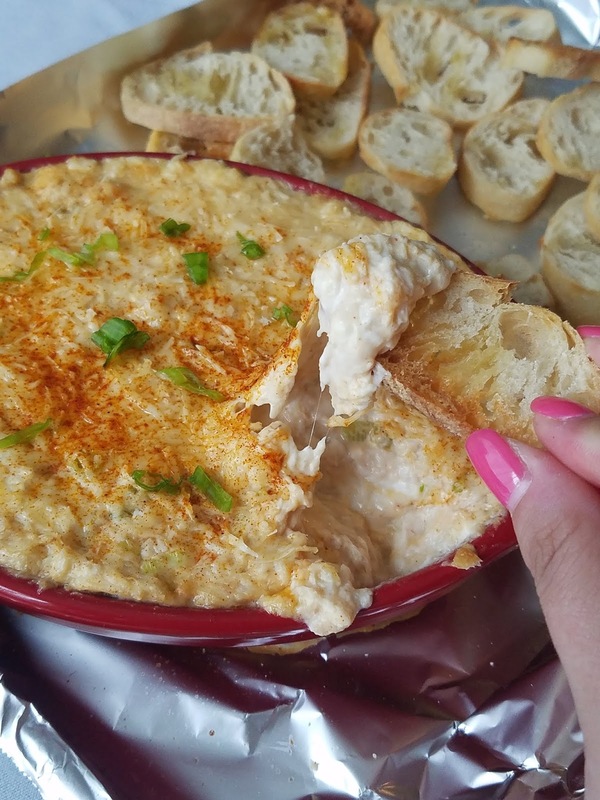 Bring it to your next potluck or BBQ or game night and watch it disappear. 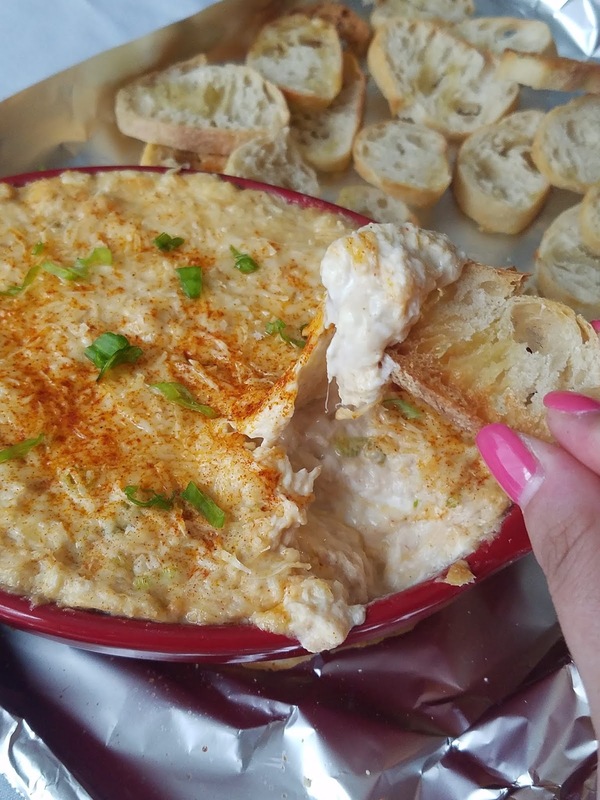 Like any good dip, this one is creamy and cheesy, melty and bubbly. 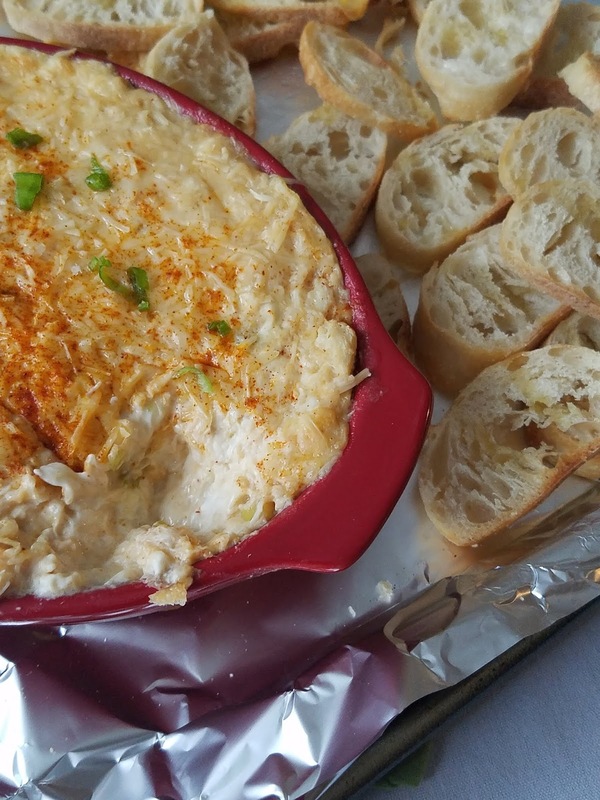 Fresh lump crab meat is mixed into every bite. I amp up the flavor with a few sprinkles of smoked paprika, a glug of Worcestershire sauce, and a shake of celery salt. 2 types of cheese give this dip a little something extra-special: parmesan, for a salty nuttiness, and muenster, for the ultimate meltiness (YES, cheese. I know we aren't supposed to be combining cheese and seafood but for some reason, hot crab dip is a very delicious exception to this rule). Preheat oven to 350 degrees. In a medium bowl, combine all ingredients except 1/4 cup of parmesan and stir until well combined. 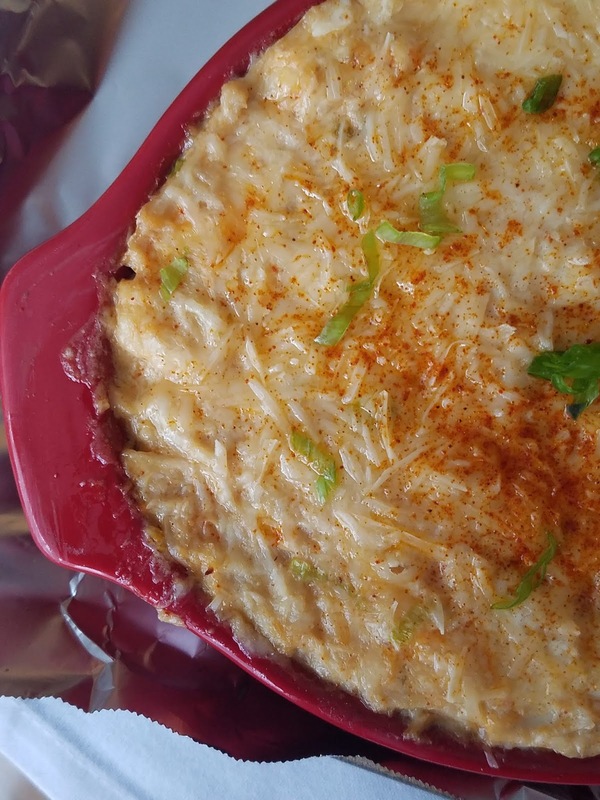 Pour into a small casserole dish and spread smooth. Sprinkle remaining parmesan on top and bake for 25-30 minutes until bubbling and golden brown. Garnish with additional green onions or paprika if desired and serve with crostini and vegetables. Note - depending on the size of your casserole dish, you may want to place the dish on top of a sheet pan to prevent oven spills. This may add 5 to 10 minutes to your cook time. Good Flame provides a wide range of burner, gas stoves and glass top gas stoves. Good Flame have a wide and best range of gas stove, 2 burner, 3 burner, 4 burner gas stoves and cooktops for every kitchen. Good Flame has a huge variety of gas stoves to suit every types of kitchen.